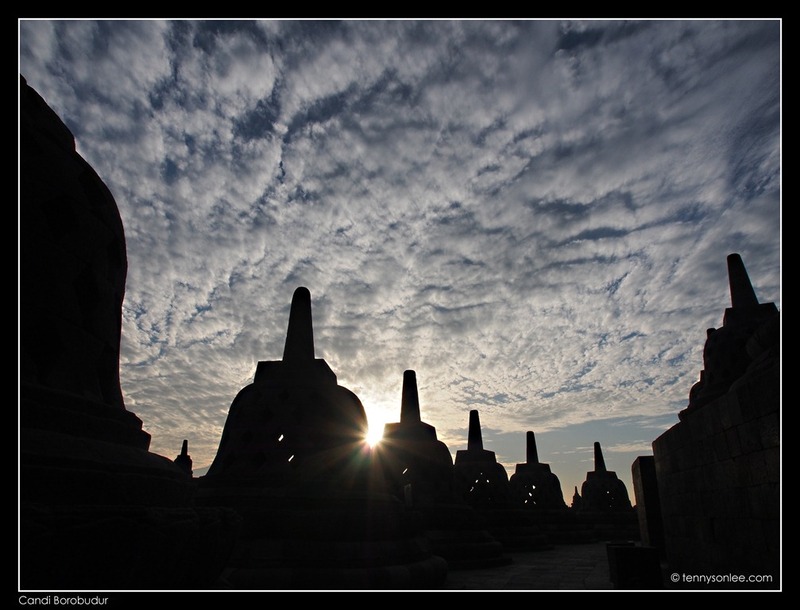 The square-holed stupas are one of the memorable structures at Candi Borobudur. 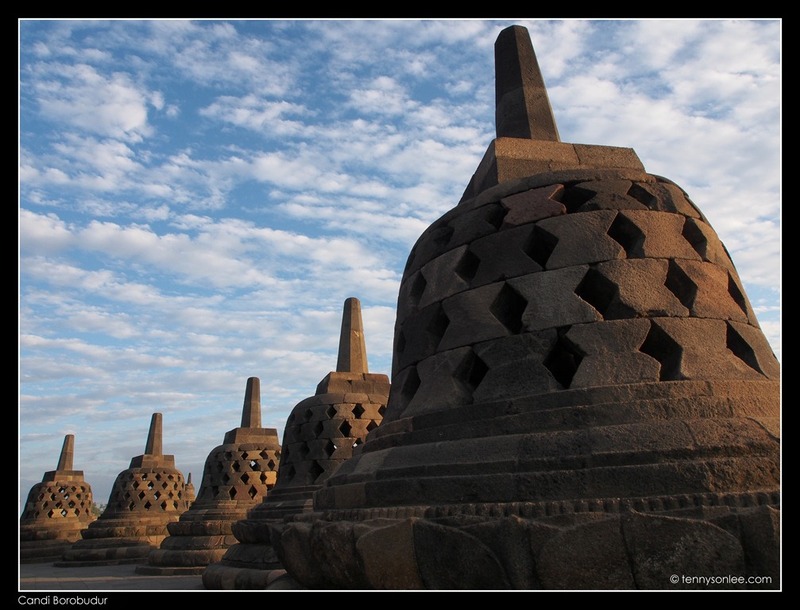 On the upper platform alone, there were already 72 stupas surrounding one large stupa. There is a statue of Buddha inside each stupa. 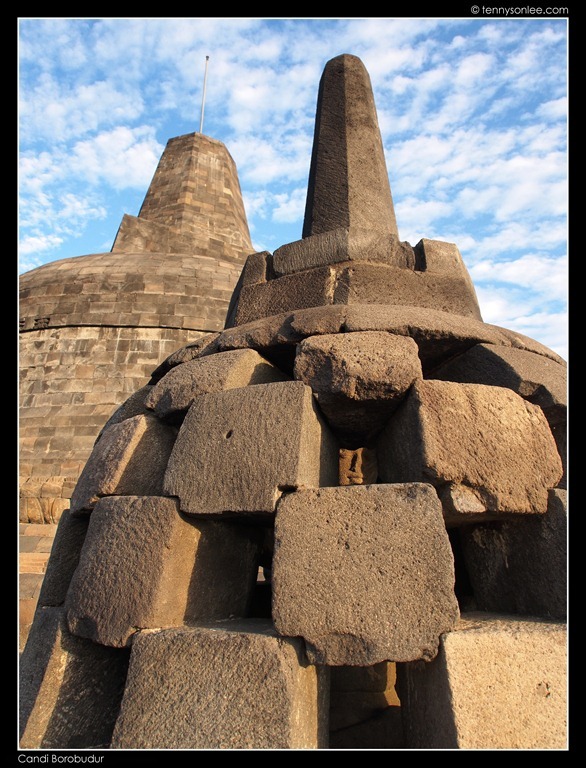 In fact, the entire Borobudur structure is also a gigantic stupa. The pyramid shape monument has 3 tiers symbolize the realms of Buddhist cosmology (the world of desires, forms, and formless). 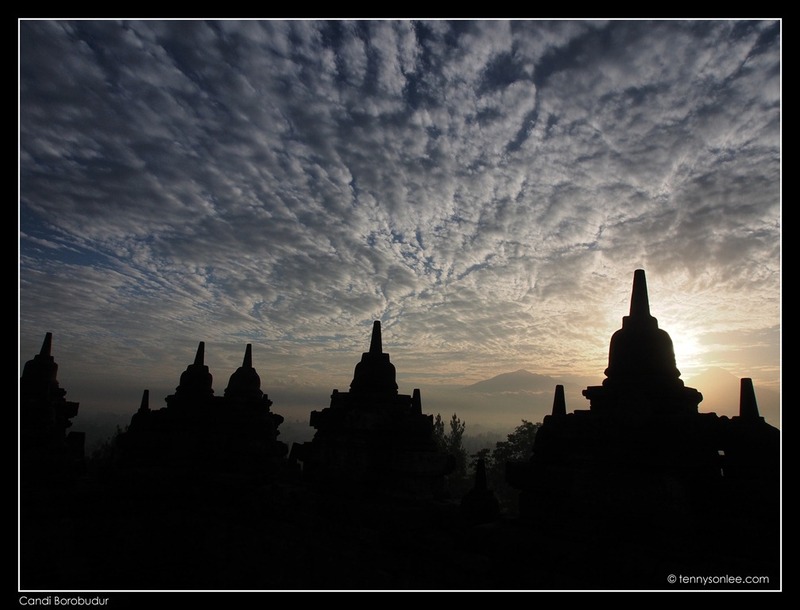 The sunrise view from the top of Borobudur is awesome. Like all the remarkable ancient sacred temples, the choice of site was not coincident. 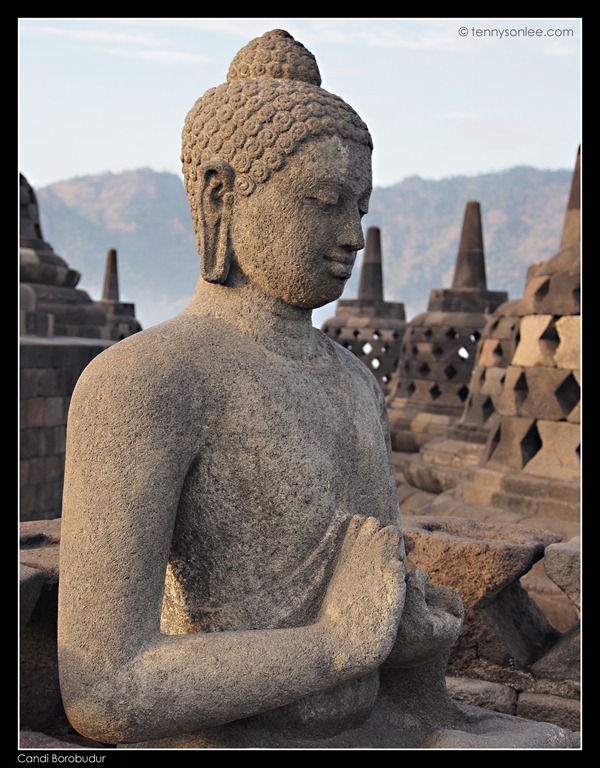 Borobudur is between 2 volcanoes and 2 rivers. 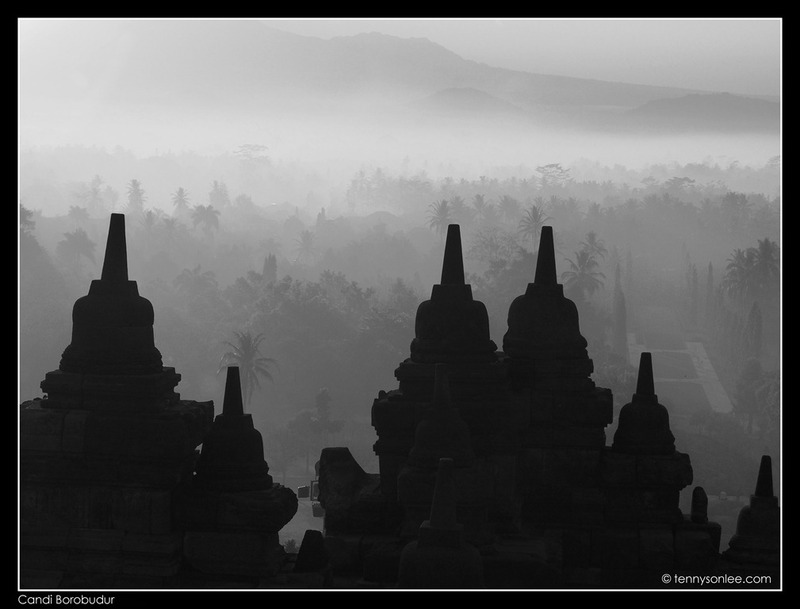 It was a wonderful feeling of emptiness while immersing oneself in the magical sunrise at Borobudur. This entry was posted on July 28, 2012 by Tennyson. 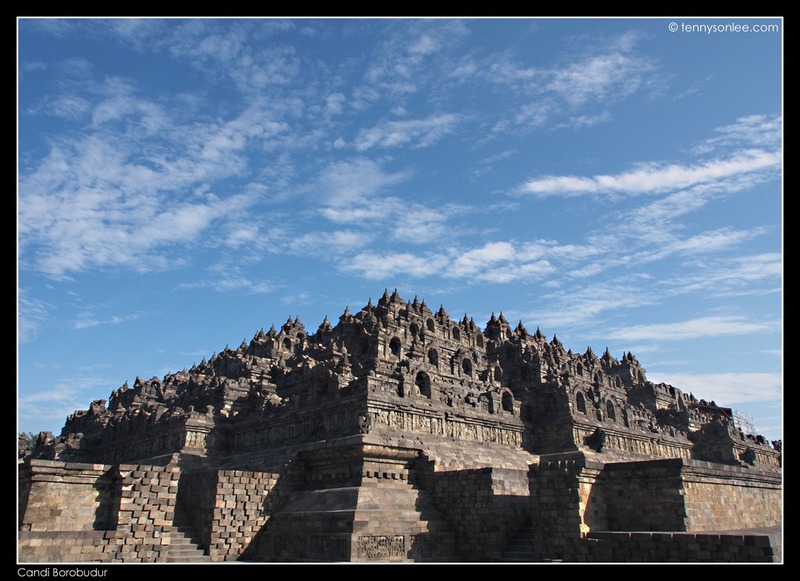 It was filed under Indonesia, Places, Yogyakarta and was tagged with Buddhist cosmology, Candi Borobudur, sacred temple, stupa.